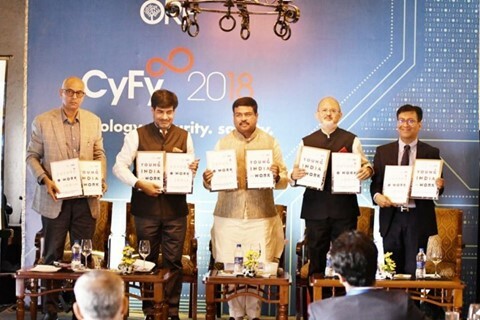 Union Ministry of Skill Development and Entrepreneurship has launched the "Closing the Skills Gap Task Force" in India in collaboration with World Economic (WEF). It will be co-chaired by Minister of Skill Development and Entrepreneurship Dharmendra Pradhan along with Salil Parekh, Chief Executive Officer and Managing Director of Infosys. The goal of the Task Force is to develop an action plan to address skills gaps in India and make Indian workforce ready for jobs of future. It will bring together leaders from business, Government, civil society, and the education and training sectors to accelerate future-proofing of education and training systems in the country. More than half of India's population is in the working age, thus skills development is critical to sustaining inclusive growth and development in the country. The task force will be a significant step to accelerate the impact on skills development already achieved by bringing together relevant stakeholders to act collectively. It will be the second country-led public-private collaboration of WEF's Closing the Skills Gap Project after South Africa. Q. Union Ministry of Skill Development and Entrepreneurship has launched which task force in India in collaboration with World Economic (WEF)?